The value of the electronic money star continues to climb. Should we leave the ship before it takes the water and, if so, which tub to jump? Diversify in the different themes. The price of bitcoin has not doubled since the beginning of the year. It has also not tripled, quadrupled, quintupled, sextupled or even sevenfold but octupled and now exceeds $ 10,000. Like capital, the questions are jostling. Should we see in this evolution a risk of bubble? If so, should we fear an impending explosion? And in this case, must we get rid of its bitcoins and fall back on other cryptocurrencies? If he refuses to talk about bubble. We still have no idea of ​​the real value of the bitcoin asset before a good time. Since many developments have not yet been implemented, such as the possibility of ‘smartchips on bitcoin'. Concedes that a massive correction, perhaps of the order of 20 to 30%, is likely to occur. Whether the ship takes the water or not, a little diversification can not hurt. “We must understand what underlies other cryptocurrencies, which is generally not the case”. Says Gonzague Grandval, co-founder of the Paymium trading platform and, more recently, Chainforge. Just in the top 15 crypto-currencies in terms of market capitalization, blockchains do not all work on the same themes. If Bitcoin offers a network of transactions and a currency, others, like Ethereum or Nem, want to offer the possibility of programming contracts that run automatically on the blockchain when the execution conditions are met. Others, again, were launched to alleviate the lack of confidentiality reproached to bitcoin. This is particularly the case for Monero, which uses a single-use key-based anonymization technology for individual payments, making transactions difficult to track. Nem is also positioned on this niche. On which the blockchains present in the top 15 crypto-currencies work can be interesting. The projects in the top of the basket of market capitalizations are relatively proven, backed by investors or institutions very serious on which we can place. 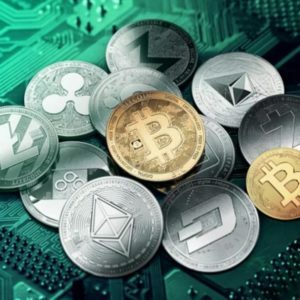 With the exception of Tether and Bitconnect, on which hovers suspicion of fraud. These projects, which are also out of the top 20, I do not put in my wallet. Those who would like to adopt a short-termist speculator attitude are interested in picking some of the weaker valuations to hope to achieve a tumble worthy of the name. But these are complicated bets to make. Above all this is not the behavior to adopt from cryptocurrencies. This is not what my associates and I do with the portfolio we manage. Do not do it personally, the more we learn, the more we trust these technologies and what they can bring. This is not the case of everyone. Many scholars consider that the current hype about crypto-currencies echoes the Tulipomania that plagued the 17th century. They think that there is more material to speculate that to revolutionize all strata of the economy . Warren Buffett, Jamie Dimon, boss of JPMorgan, or Ben Bernanke, the former president of the Fed, to name a few names, are part of crypto-skeptics. At the wealth management consulting firm Herez, we do not share the opinion of these big names in finance. Our belief is that these are currencies that, tomorrow. It will count heavily in commercial activities, so we want our customers to benefit from the evolution. The introduction of these currencies into the economy. He encourages them to position themselves on these topics, but not just how. This should not represent more than 2% of their financial wealth. Which already involves considerable amounts. On the choice of crypto-currencies too, the professional financial adviser has strong ideas. I prefer to take the least speculative a priori, that is to say the bitcoin. It is also the most liquid and different investment vehicles that exist are more numerous on bitcoin than on other currencies. There is a beginning of institutionalization of the asset class. The Chicago mercantile exchange (CME), one of the two major US futures markets. It is expected to quote futures contracts on bitcoin in early December 2017. This means that probably future contracts will be launched by US institutions on other cryptocurrencies, including Ethereum, given the volume of transactions. Next PostNext [Test] What is Brave?